Guest blogging is one of the best ways to build brand exposure and expand the reach of your products. Guest blogging isn’t dead. Though it might not be as effective as in the early days in terms of SEO, it is still a great strategy to become an authority in your niche and to grow a massive audience by attracting traffic from guest blogs. In fact, various case studies show that guest blogging still works like a charm and if you’re still not convinced to start guest blogging, you’re missing a cool marketing strategy. In this post, you’ll learn some actionable guest blogging strategies ranging from finding authoritative guest blogs to publishing guest articles. I’ll also show you some free tools I personally use and recommend to speed up the whole guest blogging process. If you have been blogging for a while, probably you’ll know some of the top blogs in your niche. However, if your single most important strategy to grow your audience is guest blogging, you shouldn’t limit your efforts to just a few blogs you know. You’ll need to make a huge list of popular blogs that accept guest articles and start pitching your content idea. Below are a few practical tips I follow to find potential blogs to guest post. Searching on Google is my favorite strategy to find potential guest blogs. For instance, if you’re looking blogs that accept guest articles in ‘weight loss’ niche, here’s how you should be searching on Google using ‘inurl’ operator. 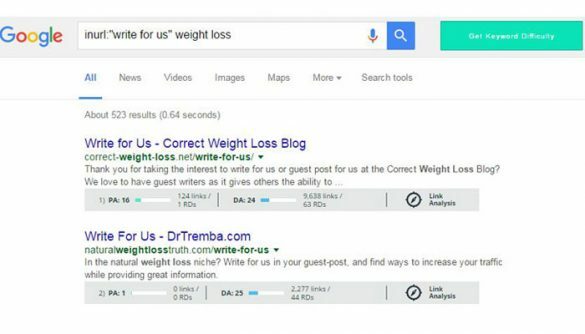 What it does is Google will restrict search results to web pages in weight loss niche containing the word ‘write for us’ in their URL. For finding more blogs, you can try more variations using inurl operator. Back in the day, Pagerank was widely used as a metric to determine the quality of a website. And many marketers use it as a factor for choosing authoritative sites for guest blogging. However, over time, the importance of Pagerank has faded away. Currently, most marketers use another metric to grade websites- ‘Domain Authority’. How would you determine Domain Authority of a particular website? One of the easiest ways is by installing MozBar extension on your browser. In fact, you don’t actually need to visit a particular website in order to know its DA. With MozBar, DA is shown right from SERPs, so you can easily ignore less authoritative websites, which even saves your precious time. Once you find relevant blogs to guest post, the next step is to pitch content ideas to the respective blogs before start writing the first draft. Though pitching ideas mightn’t be a necessary step for most blogs, it is always better to pitch content ideas before start writing because it helps you figure out if editors are actually interested in publishing them, which can avoid disappointment down the track. Before pitching, always read the guest blogging guidelines and make sure the site hasn’t covered the topics before. For instance, if you’re planning to write on ‘how to lose weight rapidly’, you can do a quick Google search to find if the site has already covered it or not with following search query. The above query will return a result of all blog posts and pages from that particular website containing the phrase ‘weight loss’. If you’re pitching a guest post proposal to a high traffic blog, chances are they might be receiving many spammy pitches every day. So while pitching, make sure your proposal stands out from the rest, so it doesn’t look spammy. 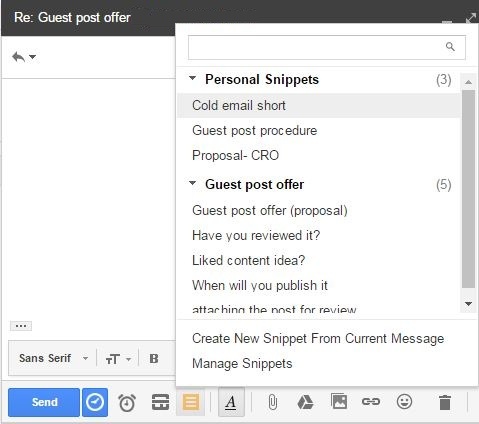 In fact, creating an email template for sending guest post proposals will save your time. Make sure you customize each pitch, so they won’t get ignored. You may use a free Gmail-addon like Streak, which allows you to easily pick a template while sending an email. Send multiple content ideas: Instead of sending just one, it is always better to send multiple content ideas, so editors can easily pick one amongst them. Sending content ideas don’t just mean sending a title. Make sure to include a brief description of the post as well. Follow up: Following up is an essential part of offering guest articles. If you’re using Streak addon, you can ‘Snooze’ an email, so it will remind you to follow up if you haven’t received a reply for your pitch. Once your content idea gets approved, you can start crafting your blog post. While it might be easier for you to write on your own blog because you’re familiar with the audience, when you’re guest blogging you’ll need to make an extra effort to understand its audience and the tone especially if you’re new to that blog. After writing it, format it according to the guidelines and send it over for the editor’s review. Make sure you have included an author bio with a relevant call to action and links to your social profiles. Instead of directing visitors to your homepage, one of the common practices is to create a landing page and direct the audience to that page from the author bio. Since most of the traffic would never return, directing them to a landing page could be a great idea. so you can collect their emails and build a long lasting relationship with them. If you’re on WordPress, you don’t necessarily need to be a designer to create a customized landing page. Simply install a landing page plugin and build a beautiful page in minutes. Once your post is published, the next step is to plan your promotional strategy. Sharing your posts on social media is an important tactic. Each time you’re sharing, make sure to personalize your shares according to what resonates the best with your audience. When I share a post on my personal Facebook profile, I always follow a personal approach and often include terms like ‘my’ and ‘I’ without bragging too much about what all the info my friends and followers would get by reading each blog. For me, this approach results in better engagement rate. This is mainly because I primarily use Facebook to share personal stories and news with my friends. And because most of my Facebook friends aren’t bloggers, they don’t care what topics I write about. On the other hand, when I am sharing it on LinkedIn, I follow a professional approach instead of being personal. So the basic idea is to customize your shares according to the platforms and its audience for better results. If you’ve featured any expert or a blog on your post, let them know about it by sending them an email or a tweet. This can be a great strategy not only as an outreach approach but also to build a long lasting relationship with peers in your niche. 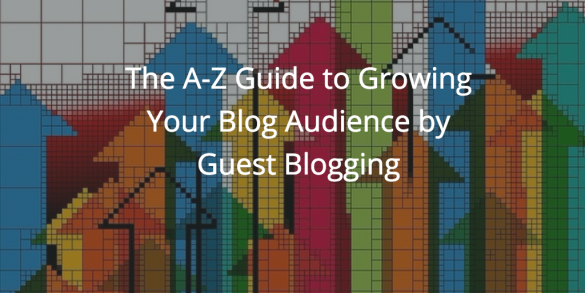 Do you guest blog to grow the audience of your website? Share your experience with us by commenting below. 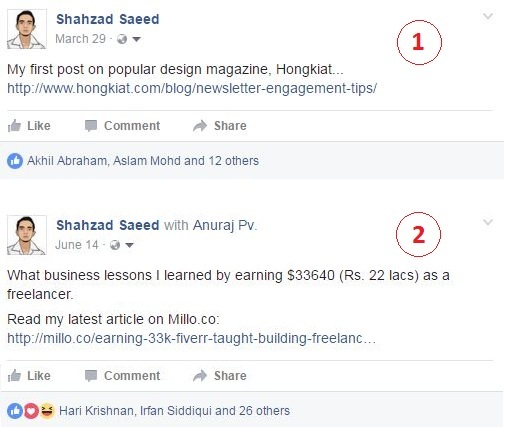 This post was written by Shahzad Saeed who specializes in content marketing for startups and small businesses. He writes on CRO, e-commerce, marketing, and design. You can hire him for your next writing project.